The summer that we are having this year is certainly worth celebrating with a Summer Party. 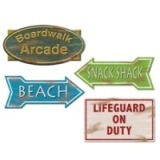 We have a large selection of Summer Party Supplies to help you throw an amazing party. Our exciting collection includes Summer Themed Decorations, Summer Accessories, Summer Hats and Summer Themed Glasses which are all colourful and fun and add to the mood of the party. Any summer get-together can be turned into a party with these Themed Summer Party Goods. We would love to hear if you are having a summer party this year. 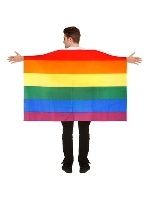 Pride festivals are taking place across the world and the Country throughout the summer and we have lots of Rainbow Pride Party Novelties for you to choose from. Rainbow Accessories are great fun to wear and add colour and excitement to the day and we have traditional Rainbow Pride Flags which are always a popular choice for a Rainbow Pride Themed Party. We would love to hear from you if you attending or hosting a Pride Event. 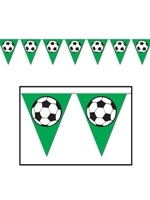 The World Cup begins on 14th June and we have lots of World Cup Flags and Bunting for you to choose from. World Cup Packs and England Football Decorations are always a popular choice and great fun with a traditional look. A World Cup Themed Party is great to have this year and Football Decorations and Country Themed Accessories are great fun to get the party underway as well adding to the mood of watching the World Cup with friends. We would love to hear where you are watching the games and how you are decorating your venue. School Prom season will soon be upon us and is a much anticipated event to look forward to after the stress of exams. 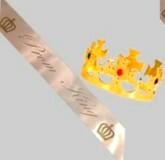 We are already sending out orders for Prom Queen Sashes and Prom King Sashes and our School Prom Decorations are perfect for any venue. We have lots of School Prom Ideas for any School Prom Theme which includes a fantastic choice of Party Packs. We would love to hear about your Prom Night Party this year. The Royal Wedding takes place on Saturday, 19th May where we will be able to see Prince Harry and Meghan Markle's Wedding Ceremony. To celebrate this special occasion there are lots of Royal Wedding Parties taking place both in homes and restaurants. For a Royal Themed Party we have Royal Themed Bunting and Flags as well as Union Jack Decorations and Union Jack Accessories. All of these Royal Wedding Themed Party Novelties help bring the mood of the Wedding to you and add to the enjoyment. We would love to know how you are celebrating The Royal Wedding.